Does your husband roll his eyes when you mention particular friends of yours? Does he try to get out of activities where he knows they’ll be present? This might not seem like a big deal, but it could turn into a trouble spot in your marriage. Researchers have found that conflicts over friends can raise the risk of divorce, especially when a husband does not like his wife’s friends. So what are you supposed to do with this information? After all, you love both your husband and your friends. Let’s get one thing out of the way first. You need friends! Having a variety of nurturing relationships makes your marriage stronger. 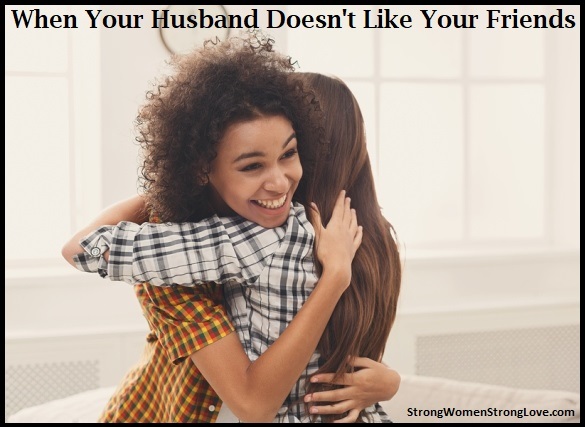 If your husband doesn’t like you spending any time with friends, there’s a deeper problem. Assuming, though, that his animosity seems limited to a certain friend or friends of yours, let’s take a closer look at what might be going on. Does He Not Get Your Friendships? First, if you know he has issues with a friend of yours, don’t let his dislike of your friend become the “elephant in the room.” Try to create a space to talk openly about what’s happening. For example, maybe he worries that the just-divorced friend you’re hanging out with a lot is filling your head with ideas about leaving him. But, in reality, you and your friend actually spend most of your time talking about work or the kids. Another possibility is that you have different ideas about friendship. Let’s say your husband’s family lives by the famous quote: “you are the average of the five people you spend the most time with.” Your family, on the other hand, emphasizes loyalty above else. So it makes sense that he’s not too happy you’re sticking by your aimless friend from high school. And it makes sense that you wouldn’t dream of distancing yourself from her even though she drives you a little nuts. When each of you understands where the other is coming from, you can find a way through the tension. Your husband might also be jealous of the bond you have with your friend(s). It’s a challenge for any of us to maintain a healthy support system amid all the demands on our time. But men are even more likely than women to rely on their partner to meet all of their emotional needs. Your husband may feel that your friends are crowding out couple time. In this case, it could be helpful to encourage him to build up his own friendships and pursue his own interests. You can also make sure the two of you are actually setting time aside to spend together on a regular basis. Is He Right About Your Friends? Finally, consider that your husband may be on to something. Does he dislike your friends because he’s noticed they drain all your energy and leave you irritable? Has he seen a pattern of your giving more than your friends? Do you and your friends say means things about your husbands under the guise of “teasing” or “venting”? That last question is especially important. Research has shown us that contempt is lethal to marriages. So you don’t want to do anything to cultivate it. 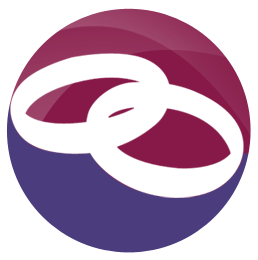 Everyone needs friends, but the way to balance friendships and marriage is unique to every couple. You can learn more about how both you and your husband can build and maintain a healthy support system in my book Strong Women, Strong Love.